Empowered and groundbreaking women are a family tradition for sociologist Joan Aldous, Notre Dame’s first full female endowed professor. After Aldous’ father died when she was 12 years old, her mother went back to school and got an advanced degree at Columbia University. She then taught home economics, childcare, and family relations at Kansas State University. It was an unusual career path for a woman back then—and is an inspirational story for her daughter still. Aldous in fact followed in her mother’s footsteps. 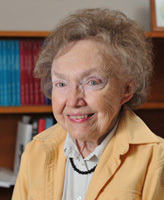 She received her Ph.D. from University of Minnesota in 1963 and spent her entire career studying issues such as family structures and relations, the effects of divorce on children and families, paternal childcare, and gender roles. Appointed William R. Kenan, Jr., Professor of Sociology at Notre Dame in 1976, Aldous retired on December 31, 2012. In that time, she became a leading expert in the sociology of the family and made a significant impact on sociology at Notre Dame. An award-winning teacher and scholar, Aldous has written two books and more than 50 articles, and edited three additional books. She was elected to serve on the American Sociological Association Council and is a past president and fellow of the National Council on Family Relations (NCFR). As Aldous’ research on family progressed over her 35-year tenure, gender roles became a growing focus and helped open new lines of research at Notre Dame. At that time, Notre Dame and the world were adjusting to many new social norms. Women were entering the workforce in greater numbers and, accordingly, distribution of childcare and domestic chores were being reevaluated. Although she is now retired, Aldous’ legacy continues on through the work of the many colleagues she inspired and mentored. “What she did here was establish a historic strength in research on family,” says Mary Ellen Konieczny, an assistant professor in the Department of Sociology. A sociologist with a background in theology, Konieczny’s own work in the department examines family, divorce, and moral polarization from a religious perspective. Family and religion, she says, have much overlap, which is perhaps one of the reasons Notre Dame is so well suited as a center for research on family. 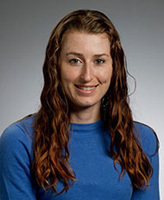 Assistant Professor Elizabeth McClintock, who joined the faculty in fall 2011, is one of the new scholars in the department who studies gender. McClintock’s research focuses in part on why men still play a lesser role in child rearing, why men still are more likely to be promoted, and how women are still discriminated against in the workplace—issues touched on by Aldous during her renowned career. McClintock looks specifically at gender in a variety of contexts, from gender inequality in romantic relationships to division of labor within households to partner selection and mating. And while her related work on sexual identity and sexual practices could seem controversial at a Catholic university, McClintock says that she has encountered nothing but support. And although Aldous was the only endowed female faculty member when she arrived at Notre Dame those many years ago, she recalls being encouraged to freely pursue her research interests just as Konieczny and McClintock are today. 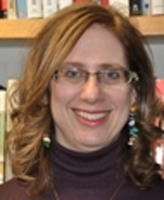 Looking forward, she also says she is pleased to know that areas of research that were so central to her career will continue to be strengths in the department—from family structures to gender roles to child care. Originally published by Tara Hunt at al.nd.edu on March 26, 2013.